#Roommates, nothing compares to the love that a child has for his/her mother, and 13-year-old William Rabillo has definitely shown that! William’s mother, Krystal Preston, told @cbsnews she was in complete shock after her son gave her a gift greater than she could expect. In a heartwarming story on Facebook, Krystal revealed that her son bought her a car. Krystal said she knew William had picked up a few gigs mowing lawns and cleaning yards, but was under the impression he was just trying to be more responsible. She said William turned into a “money making machine”, but she had no idea to what extent. Krystal, a single mom of two, had been struggling to stay on top of all of her bills without a vehicle of her own, and William’s only wish was to make life a little easier for his mom. 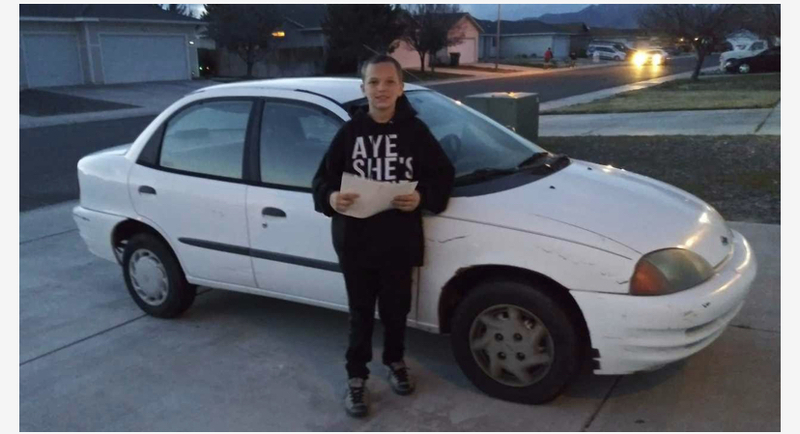 When he noticed a woman selling a 1999 Chevrolet Metro on Facebook, he decided that was the car for his mother. After negotiating with the woman, William found himself the new owner of the 1999 Chevy. The woman selling the car picked the family up and drove them to see it. Krystal said she had never experienced anything like this moment.